Keeping fit, eating healthy and feeling serene – these three lifestyle trends are some of the key motivators behind today’s travel choices. According to recent reports, wellness tourism is a R5.5 trillion industry, and Sub-Saharan Africa is leading the pack with over 186% growth in this industry. Don’t let the winter chills stop you from looking and feeling great. Now’s the best time to take advantage of autumn/winter specials. To give you some inspiration for your next getaway, we’ve put together a list of the top 9 destinations for wellness retreats in South Africa. 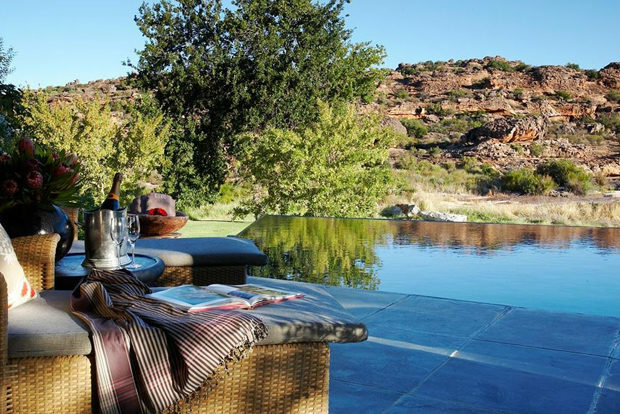 Nestled alongside the Cederberg Mountains is Bushmans Kloof – the perfect destination for a ‘healthy holiday.’ Couples can enjoy side-by-side massages in the onsite spa gazebo while taking in panoramic views of the Boontjies River and surrounds. Next on the to-do list, is the resort’s crystal steam room – a heated haven featuring a central block of pure quartz crystal to heal the body and cleanse the soul. In need of a few meditative moments? The Tranquillity Lounge leads out onto a secluded garden filled with organic herbs and fynbos. Keeping you going throughout the day is a complimentary health bar filled with fresh fruit, homemade snacks, juices and herbal teas. The heated outdoor pool is a welcomed luxury during the colder months. 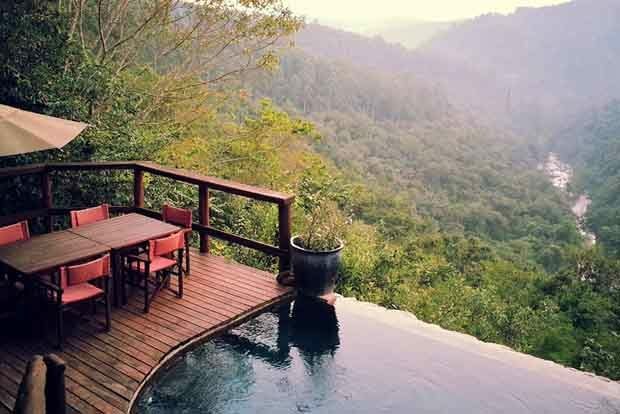 Trogon House is a wellness sanctuary situated within an indigenous forest reserve at the foot of the Tsitsikamma Mountains. Soak up a sensory experience at the Forest Spa – a crackling wood fire, soothing tribal melodies and candlelit ambiance. It’s a haven of warmth and comfort during the colder months. Relax in the Jacuzzi, enjoy a steam session in the sauna and forget the demands of urban living. 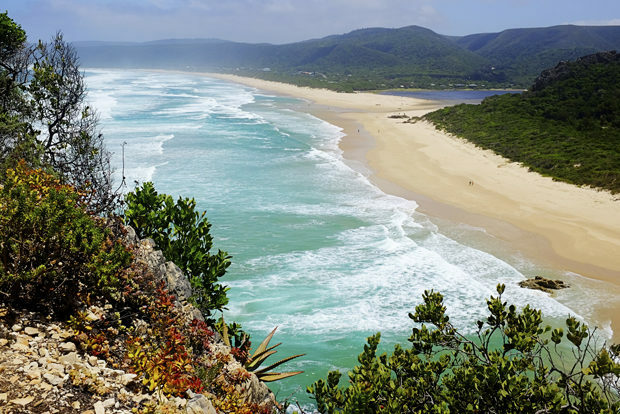 The Plettenberg Bay area also has much to offer in the way of nature-based adventure activities. Ride some waves along the sparkling coastline, enjoy the sights and sounds of the area on horseback, or get your adrenaline flowing with a Tsitsikamma canopy tour. Sea kayaking is also a great way to tone muscle and enjoy some good cardio. 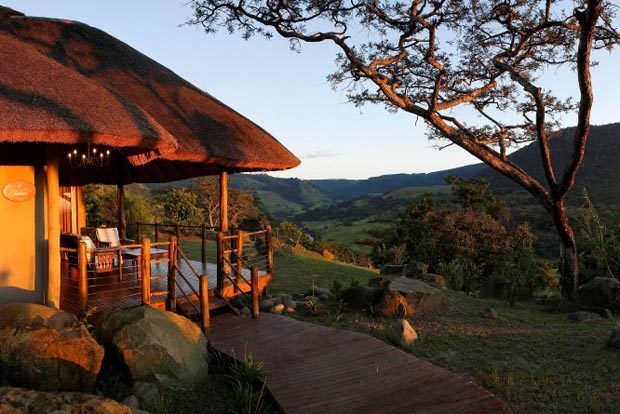 When life calls for a weight management and detox retreat, Karkloof Safari Spa offers some of the top wellness programs in the country. The detox experience focuses on cleansing the liver, kidneys and intestinal tract of impurities and toxins. Through dietary advice, spa treatment, fitness activities and emotional therapies, each individual’s personal condition is catered to. It’s a ‘restart’ button for body and mind. The team also provides tailored weight and lifestyle advice, with a program designed to boost personal fitness and promote better health. Onsite activities include mountain biking, yoga classes and adventure activities. Karkloof’s spa facilities are extensive and hydrotherapy is a great place to start, with everything from a floatation pool, a sauna and steam rooms to an indoor roman bath and a Jacuzzi. If you’re on a mission to detox, then an intensive four, seven or ten day programme by Namasté Detox Retreats will do the trick. Formulated from both a medical and scientific standpoint, these programmes are goal-oriented and designed to achieve maximum results. The four-day “revitalise” programme provides a gentle detox of body, mind and spirit with good food in a tranquil setting, facilitated by experts in the field. Take seven days to embark on the “intensive” programme to purge those accumulated toxins and enhance vitality. The ten-day programme is specially designed as a weight-loss regime or for people with chronic illness. The facilitators have thought of everything – cleansing treatments include colon hydrotherapy, juice fasting, energy work, coconut pulling therapy as well as coffee and spirulina enemas. Hoogland is a family-owned and run health farm offering comprehensive treatment packages to promote general wellbeing and holistic healing. Three to nine day stress management retreats take place in this haven near the Schurveberg Mountains. Other programmes that are available include detox regimes, weight management packages, a diabetes treatment programme and supervised water fasting. Add a special touch to your programme by choosing from a range of massages, beauty treatments and health consultations. It’s a chance to destress, detox and revive your body and mind. A typical day at the Hoogland getaway includes the use of all onsite facilities including a sauna, steam rooms, Jacuzzis, a swimming pool and exercise facilities. Guided nature walks as well as yoga, stretch and aqua aerobics classes make this destination an all-season haven for everything wellness. Known fondly as “place of the red earth,” this natural sanctuary in the Sabie valley is a go-to destination for a range of fitness and wellness activities. Tanamera’s luxury chalets come equipped with an open log fire with a chimney to add to the warm atmosphere on colder nights. 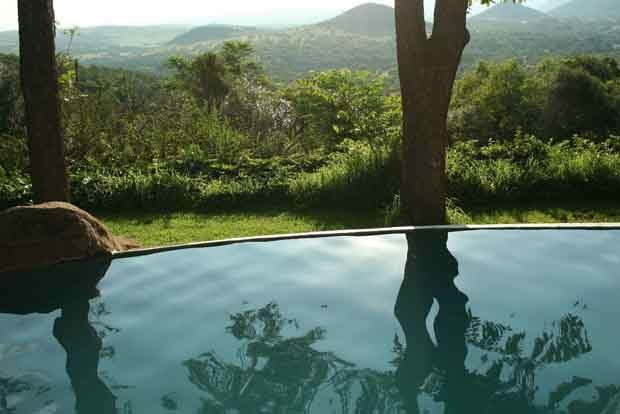 The Lowveld forest canopy provides for a number of walking and hiking trails all-year round. Just around the corner are several day spas that will treat you to massages, facials, aromatherapy sessions and couple’s treatments. Fit for lovers of all things adventurous, there are plenty of opportunities to get your blood pumping and your muscles working. Start off with a white water rafting experience through 20 exhilarating rapids in 2 man “croc rafts.” Trips last about 3-4 hours and full day adventures are available by pre-arrangement. In the centre of the busy city of Johannesburg is a destination that’s designed for an escape into health and wellbeing. 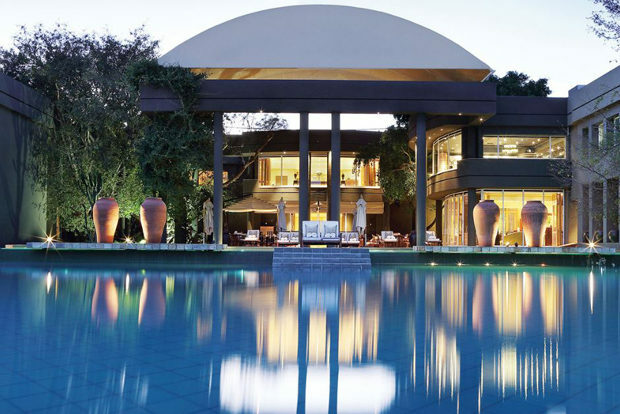 The Saxon Spa and Studio was voted one of the city’s top 3 spas in South Africa by Nouvelles Esthetiques and was on Tattler UK’s list of the top 101 city spas in the world in 2007 and 2009. Sound therapy – gongs and Tibetan singing bowls add a sense of mysticism to the spa experience. 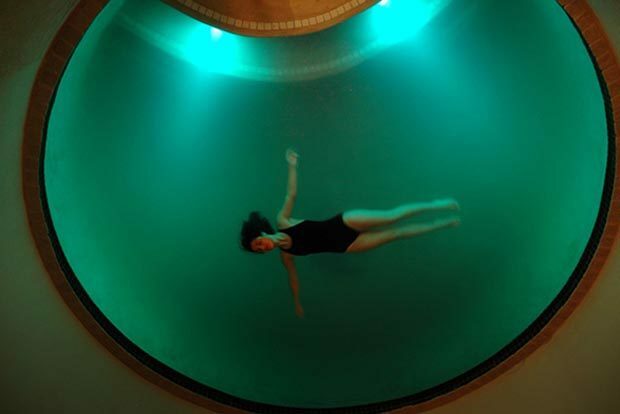 Healing treatments which may include colour therapy and a few blissful moments in the onsite floatation pool. There are large open spaces and gardens filled with indigenous bird life and water features – close your eyes and breathe in the good vibes. Hydrotherapy is a big part of the spa’s offering, with its heated pool, a Jacuzzi, sensational showers, a plunge pool, a hydrocapsule and a steam room. A fully equipped gym is open 24 hours a day for travellers who enjoy an invigorating daily workout. 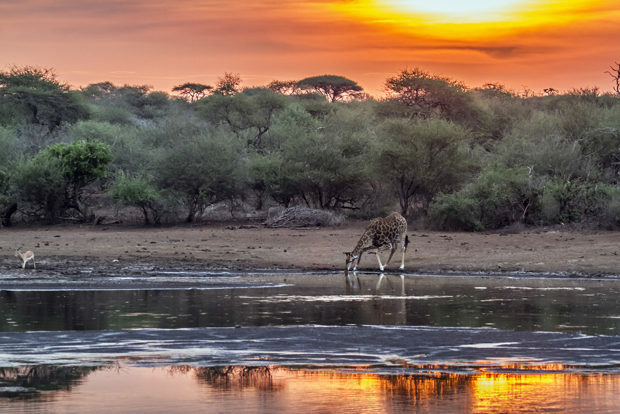 In the town of Warmbad is a family-friendly resort designed to provide a wellness experience in an African bushveld environment. The resort is situated in the Bela-Bela region which derives its name from the geothermic hot springs around which the town was built. These natural features make for the perfect winter escape – there’s nothing quite like being submerged in warm water, watching the steam rise and being caressed by a cool breeze. Pools, restaurants, sports areas, the spa – everything is on your doorstep. The Hydro at Warmbaths is the place to be if you’re looking to lay back, relax and treat your body to a few hours of special attention. Wade into the hot mineral spring – time to exhale and enjoy the moment. If you’re an early bird by nature, Warmbaths caters to your need for entertainment with its squash, tennis and volleyball courts as well as pedal boats. 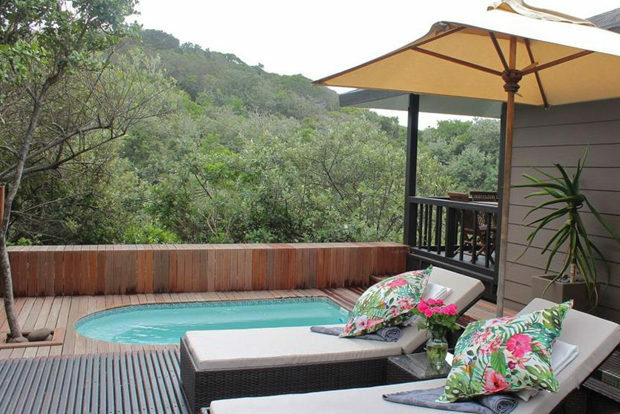 An easy 40-minute drive from the East London airport is Prana Lodge. Expansive indigenous forest gardens provide the ideal setting for a wellness retreat. And you get the best of both worlds, with the beach being only a stone’s throw away. Enjoy guided yoga and meditation sessions before heading to the spa and wellness centre for a range of signature treatments. As a centre committed to sustainable wellbeing, it encompasses green principles into its treatments, using authentic, natural and indigenous ingredients, many of which are picked from the spa’s onsite herb garden. Other facilities include a central infinity pool, a lounge area, a steam room and sauna as well as an outdoor Jacuzzi and deck.